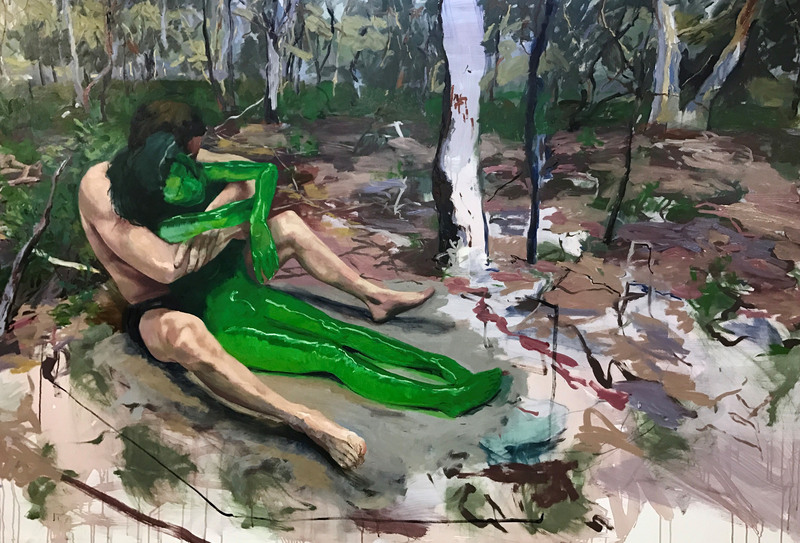 Nick Hall’s new series, Rumpus Room, explores critical narratives of modern relationships between humans, and between humans and nature, depicting feelings of a yearning for control. 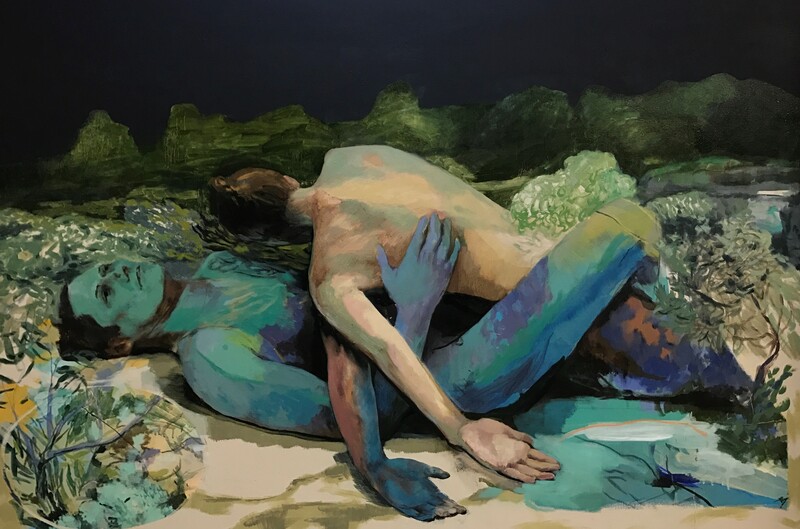 This desire plays out in domestic situations and in projected visions of couples in conditions of secure and insecure psychological states. 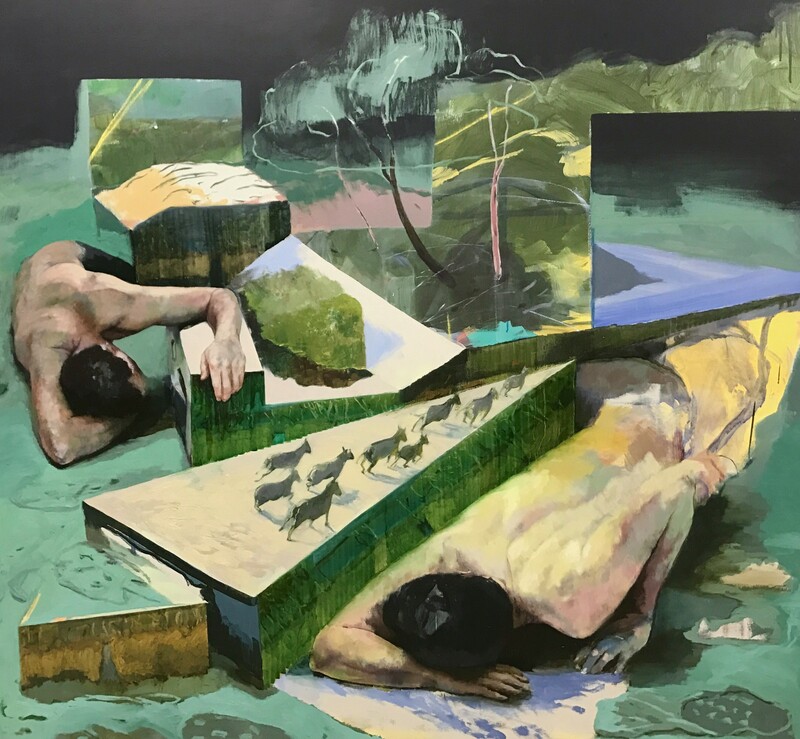 Through Hall’s characters we embark on emotional journeys and observe how the attitudes and behaviours that colour our personal relationships, inadvertently affect our living contexts and also influence our broader social, cultural and environmental landscape. 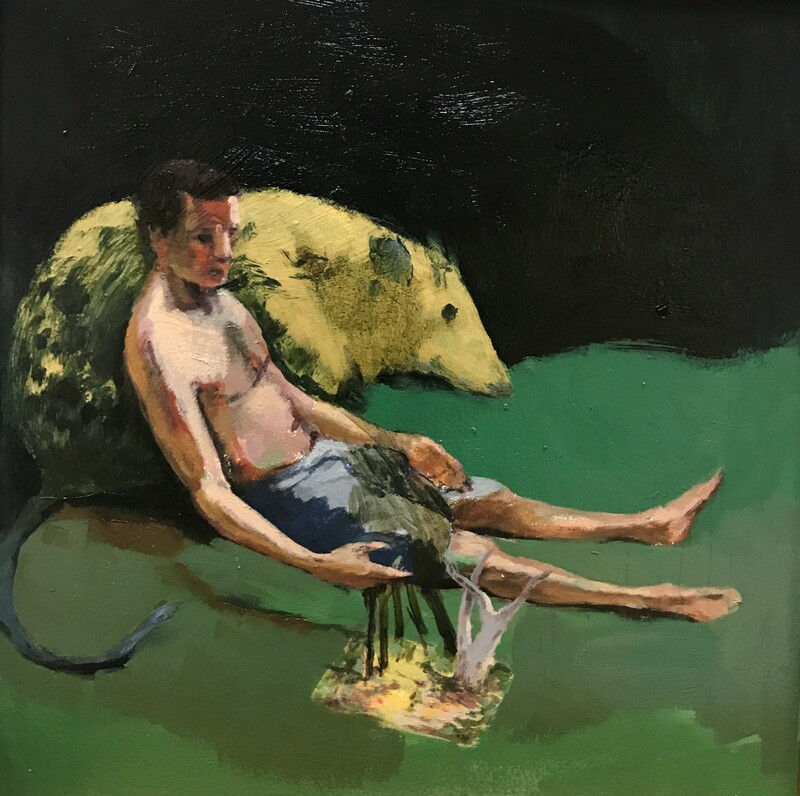 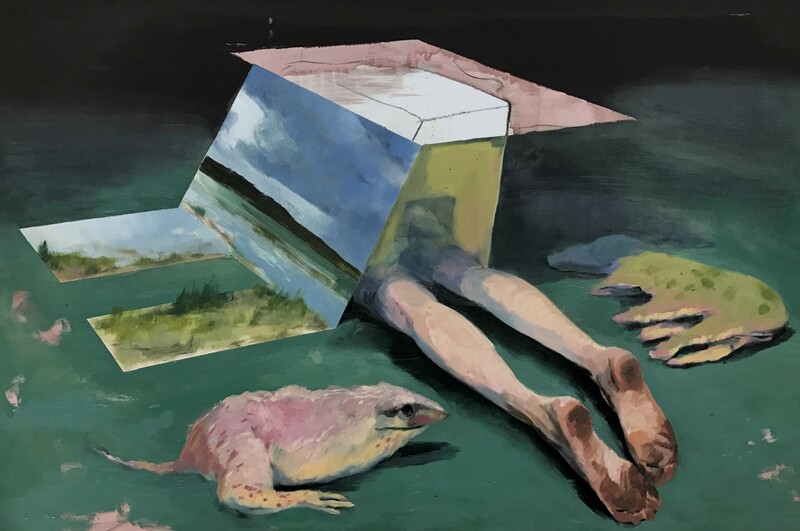 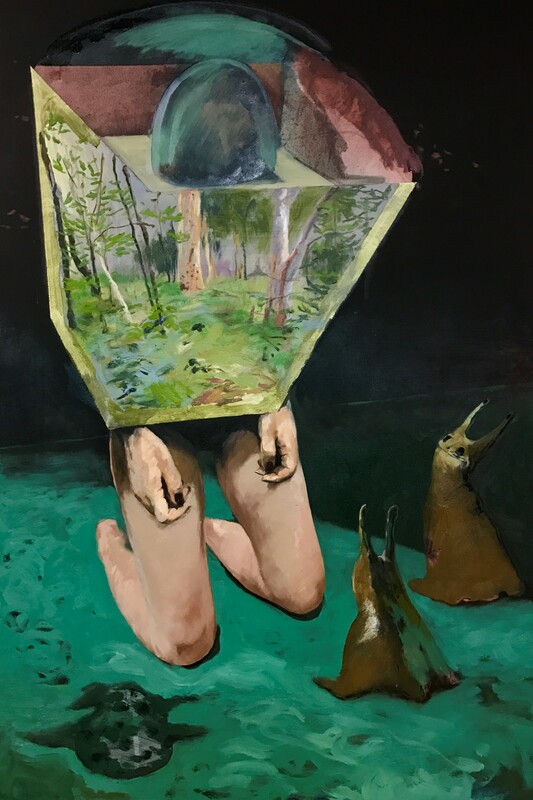 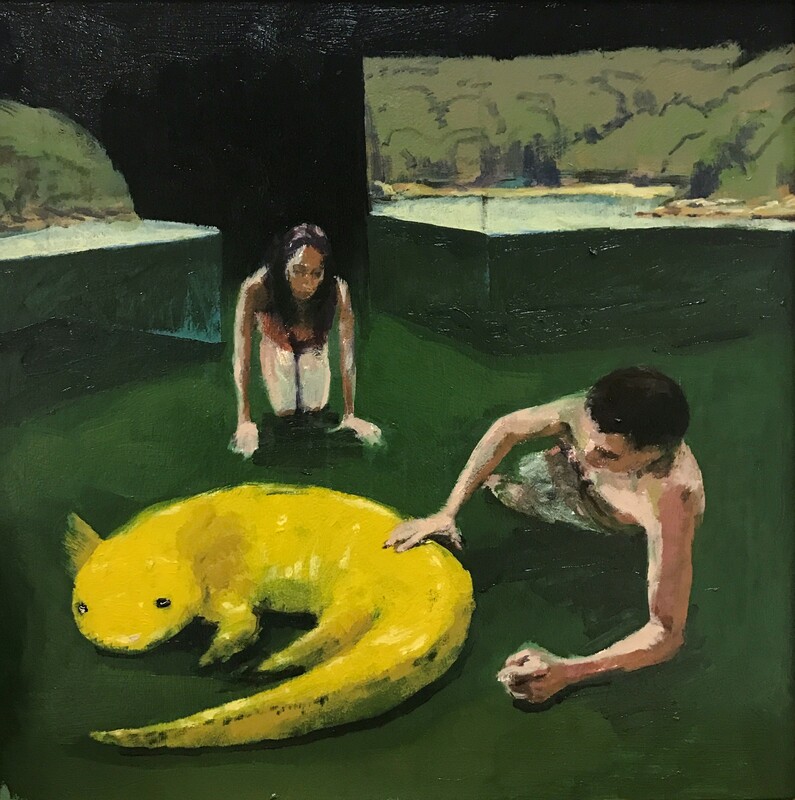 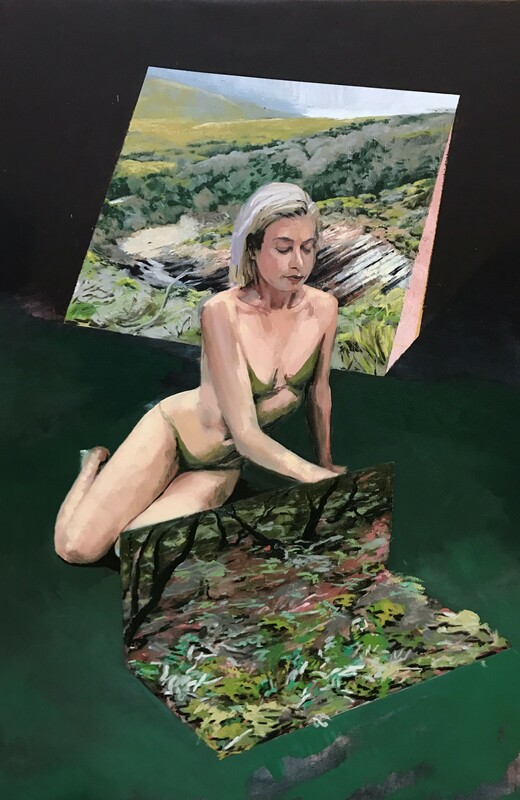 Hall uses a language of muted tones and drawn line shapes of cage-like structures that contain perfect gardens and national parks, while flawlessly painted male/female figures, with their mutant pets, play and dream idyllically in the Rumpus Room. 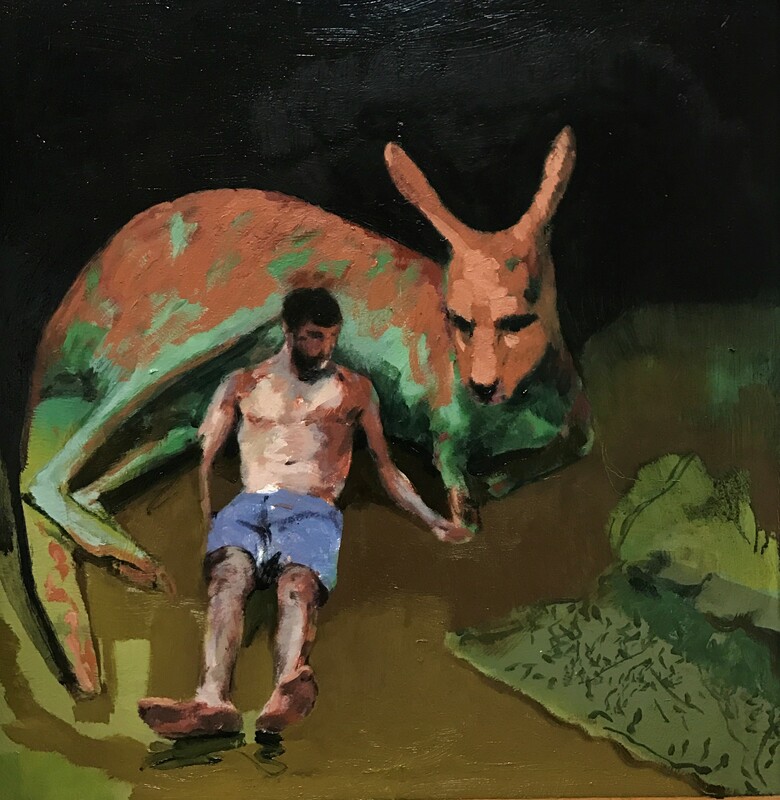 Nick Hall, a graduate of the National Art School, is a past finalist of the prestigious Brett Whiteley Travelling Art Scholarship. 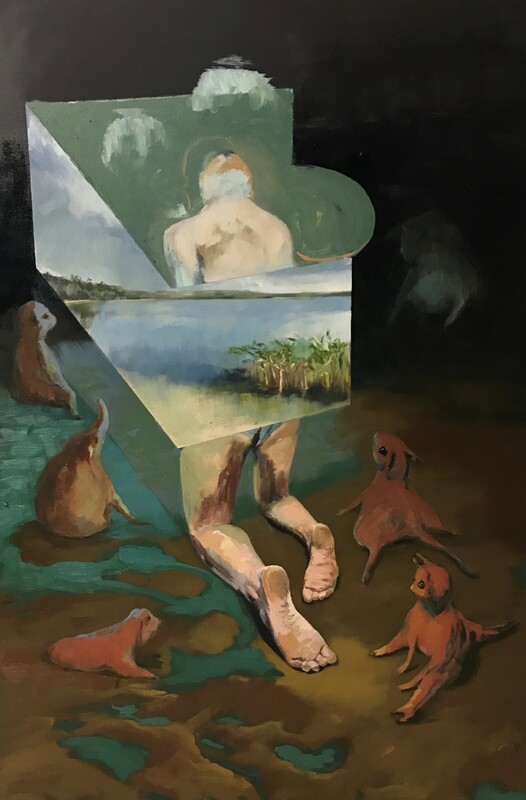 His work has featured in the exhibition A Poke with a Stick at Manly Art Gallery (2012), Adelaide Perry Prize for Drawing 2017 (finalist), Blacktown Art Award 2015 (finalist) and the Rick Amor Drawing Prize 2012 (finalist). 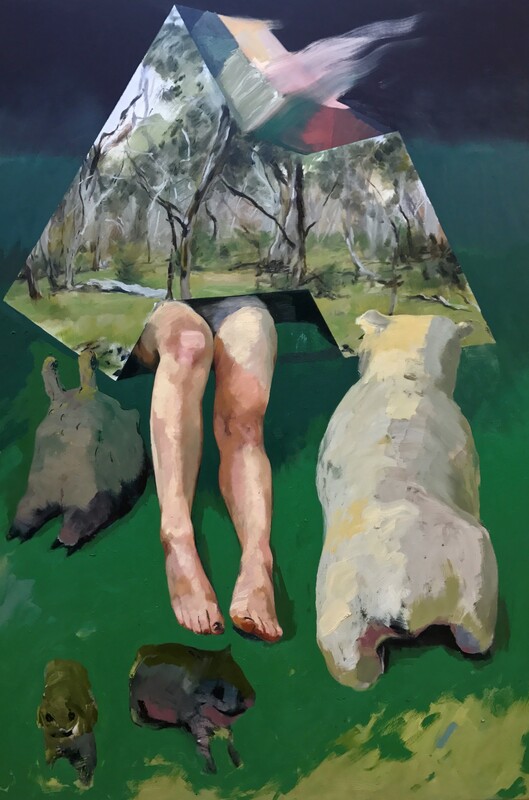 Explore the Paddington galleries at night, ending with an Art Bar party.